After Texas A&M tried to lure Aranda, LSU gave him a big pay raise to stay. 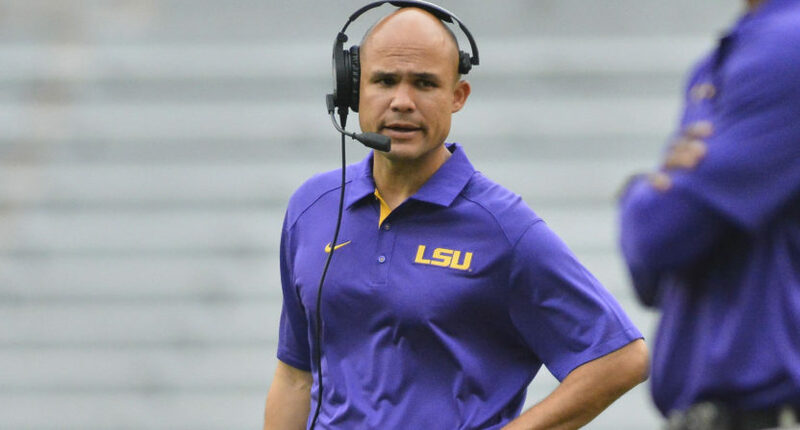 With his new contract, LSU defensive coordinator Dave Aranda will be making more money than most college football head coaches. The Tigers inked Aranda, whom Texas A&M had relentlessly pursued for the same position on Jimbo Fisher’s staff, to a four-year, $10 million extension, according to ESPN’s Adam Rittenberg, shattering the record salary for a defensive coordinator already owned by Aranda. That $2.5 million annually is also a record salary for any assistant. LSU’s defense has been terrific in Aranda’s two years in Baton Rouge. However, it’s still shocking to see someone other than a head coach receive such a large sum of money, especially for a program that has owned an elite defense in college football for years through several defensive coordinators. On the surface, it seems even more ridiculous for a public university located in a state that’s struggling financially and cutting education funding to hand out such a contract. But, as LSU athletic director Joe Alleva has repeatedly noted, his athletic department operates without state funds or student fees. They also have been giving significant money back to the university, even more than they’d initially agreed to . While funds have been tight throughout the state and the university, LSU football has continued reeling in tons of revenue for the athletic department thanks to TV money and unwavering interest in the program, allowing it to operate in ways unlike most athletic departments. While LSU certainly could have done other things with the money, it’s also understandable why they chose to pay big bucks to keep Aranda. Especially with the alternative being him leaving for a conference rival, and one that had so recently poached the Tigers’ DC. But is Aranda going to be worth the massive amounts he’s getting? We’ll find out.